In previous stories, WFPL and KyCIR have withheld Espinosa’s name because she was an alleged victim of sexual harassment and assault. In a press release Tuesday, a communications firm hired by Espinosa’s lawyer named her publicly. Gail Langendorf, Espinosa’s attorney, filed a motion Tuesday to dismiss the case, arguing that her client did not violate the confidentiality agreement. “She’s denying that she revealed the contents of the settlement amount or any of the details,” Langendorf said in an interview on Tuesday. Langendorf also argued that because the settlement involves public officials, its confidentiality clause shouldn’t be enforceable. “The public has the right to know what their elected officials are doing. And if someone even accused them of misconduct in office, that’s something that the public has the right to know,” Langendorf said. The former staffer accused Hoover and three other lawmakers of sexually harassing her while she worked as a communications staffer for Republicans in the Kentucky House of Representatives between 2015 and 2017. She also accused Hoover of repeatedly groping her. She detailed her accusations in a demand letter that ultimately led the lawmakers to secretly settle her claims in exchange for confidentiality. But Hoover’s lawsuit, filed in January, alleges that soon after signing the agreement, the then-staffer disclosed details of the settlement with her supervisor Daisy Olivo and the chief clerk of the House, Brad Metcalf, nullifying the contract. Both Olivo and Metcalf were fired from their positions in 2018 and have filed whistleblower lawsuits against the state, saying they were retaliated against for reporting sexual harassment in the legislature. Earlier this year, the Kentucky Center for Investigative Reporting and Kentucky Public Radio obtained a copy of a deposition the former staffer gave in those lawsuits. In the deposition, she alleged that Hoover sexually assaulted her by touching her without her consent. KyCIR also showed that the ethics agency in charge of investigating Hoover’s alleged ethics violations knew about Espinosa’s claims of unwanted touching, but didn’t publicly discuss them or seriously investigate the veracity of the claim. Though Hoover stepped down from his position as speaker in early 2018, he kept his seat in the House of Representatives. He ran unopposed for his seat last November. One of the other accused lawmakers — Michael Meredith of Oakland — was also re-elected. Reps. Brian Linder and Jim DeCesare did not seek re-election. Meredith and DeCesare have joined Hoover in the lawsuit against Espinosa. They are also seeking to depose her in the whistleblower lawsuit filed by her former supervisors. That deposition is scheduled to be taken on May 17. Hoover’s attorney did not immediately return a request for comment on Tuesday. State Rep. Jeff Hoover and two other Republican lawmakers are suing a former staffer for allegedly violating a confidentiality agreement regarding her allegations of sexual harassment. At the time, the woman was 21. 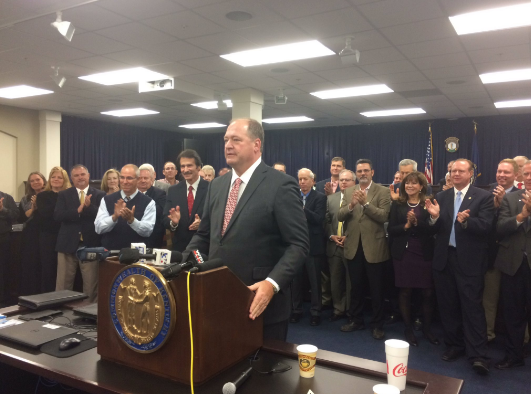 Ky. Representative Jeff Hoover of Jamestown was the leader of the Republican minority in the state House of Representatives. Within two years, Hoover would become the first Republican speaker of the House in nearly a century. Click the player to listen to a new investigation in which a former staffer details her allegation of sexual assault against Ky. Rep. Jeff Hoover of Jamestown. 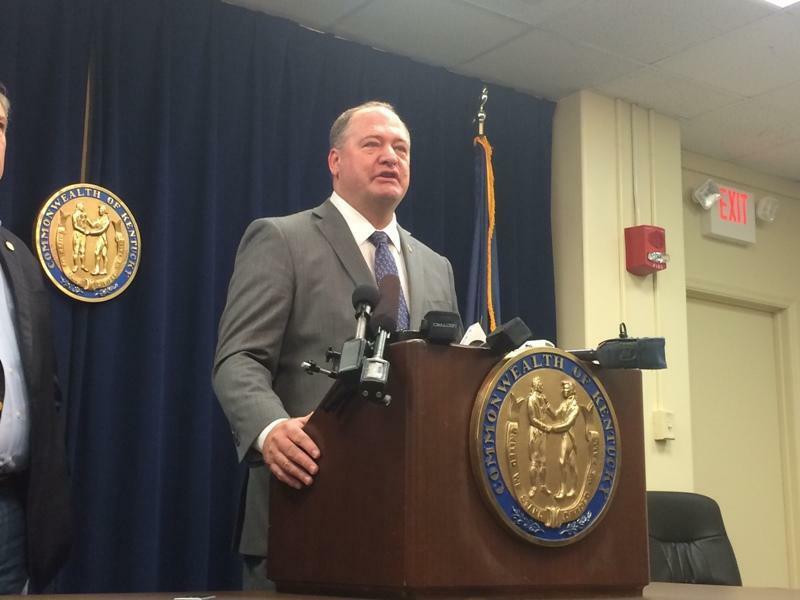 A former state legislator told the Kentucky Center for Investigative Reporting on Monday that she never witnessed inappropriate behavior by Rep. Jeff Hoover, as his accuser has claimed. In a demand letter, and later during a sworn deposition, a former House staffer said then-Rep. Jill York of Grayson witnessed Hoover and the woman interact during the 2016 legislative session and complained about it to House Republican Communications Director Daisy Olivo.